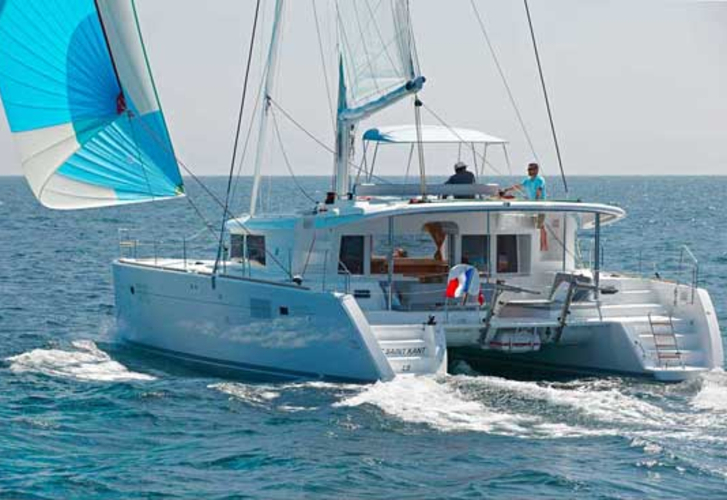 Opera Prima is a name of vessel Lagoon 450 ,which was produced in 2015. You can charter this yacht from base Castellammare di Stabia in surrounding area of Latium And Campania. Opera Prima is furnished with 10 beds. 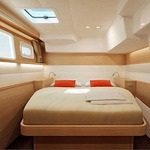 Sleeping places on the sailing boat are arranged in 10 (8+2) layout. 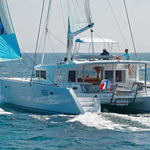 6 bedrooms are located inside the sailing boat Opera Prima. 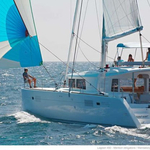 Use our search engine to find more offers by going here: Catamarans Latium And Campania. 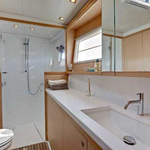 Crew members can feel good on this yacht , because there are 4 toilettes with showers for their disposal. With 1000.00 l l. in diesel tank you can sail really far and still be independent because of 600.00 l liters in water container. Opera Prima is powered by motor 76 hp. 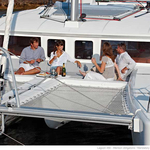 Boat's dimensions are: lenght overall - 13.96 m , width - 7.84 m and 1.30 m of draft. 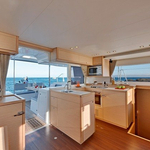 On the boat there is following equipment: generator, Inverter 12v-220v, Coffee machine, Radio / cd player, Air conditioning, Microwave. . Nonrefundable caution has value 3000.00 EUR. 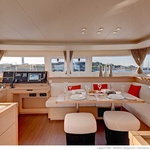 In our search engine you can quickly check avalailability of yacht Opera Prima from Castellammare di Stabia clicking here: Catamarans Italy.